NORML is proud to present these simple tips to protect your health. Most of the commonly held myths about marijuana are simply untrue, but it is true that smoking enough of anything is likely to be harmful to the lungs. Most harm related to smoking is from the heat, the tars that result from burning plant matter, and solid particulates and ash in the smoke itself. This means that no use is the safest choice, but if you do choose to use cannabis, then moderate occasional use is safest. Smoke only the best marijuana, so that you only need to have a small amount. The strength of cannabis can vary considerably. Try a small quantity of any new smoke first to see how strong it is to avoid getting too stoned. Wait ten minutes after each smoke in order to get the full effects, and then decide if you want any more. Always use a screen or gauze in your pipe or bong, to avoid inhaling burning embers, ash and solid particulates. Taking deep tokes and holding in smoke for a long time is very harmful to the lungs. THC is actually absorbed quickly by the lungs, and the longer you hold it in the more tar will be absorbed. Although this behaviour – to get the biggest bang for your buck – is the product of the illegal and overpriced status of cannabis, it is the main reason that smoking one joint of cannabis is thought to be more harmful than one tobacco cigarette. Using a bong (especially with ice water) will reduce damage from hot unfiltered smoke. 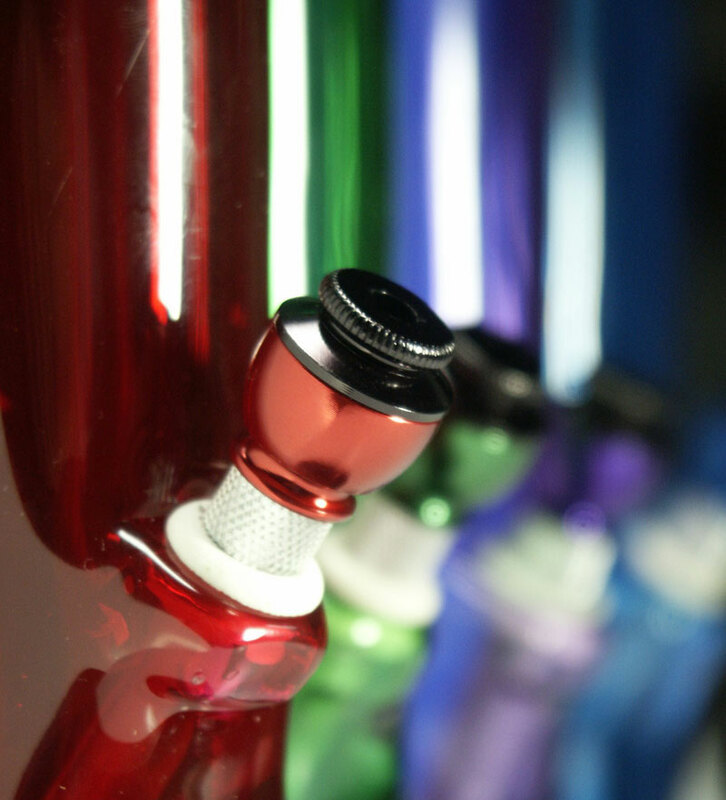 Water bongs cool the smoke, filter out solids, and absorb the most harmful tars in the water. Ensure that droplets of water do not come up as well (not good for the lungs). Because bongs often make the smoke very smooth, avoid inhaling too deeply. Replace bong water each time to avoid bugs and bacteria. Regularly sterilise your pipe or bong using denture cleaners (eg Miltons – available from chemists and supermarkets). Glass is best as plastic or rubber can give off toxic fumes if accidentally burned. A narrow neck would be less damaging than a wide opening. Keep your pipe or bong in the freezer so that the smoke is cooled each time you toke. Be aware that deadly menengitis is transmitted through saliva, which puts marijuana smokers at considerable risk.. Don’t share spit on joints, or pipe and bong mouthpieces. Touching the joint to your fingers then your fingers to your lips (but not the joint to your lips) will solve this problem. The supply of cannabis is uncontrolled and not subject to any health regulations, meaning quite a lot of street cannabis is unfit for human consumption. Never smoke cannabis that appear artificially coloured, as it may have been sprayed with a toxic poison by the Police (in an effort to protect your health!). Similarly, if your cannabis has a chemical taste or smell, that is probably what it is – some dodgy growers fertilise right up to harvest and chemical residues remain in the herb. Do not smoke any cannabis that has mould (an ammonia smell) or fungus on it as these substances can be very harmful if inhaled. Be cautious about mixing drugs, as the effect of combining substances is more unpredictable and can increase health risks. Especially use caution when mixing cannabis with depressants such as alcohol as it can increase intoxication and make you feel more out of it than you intended. Mixing tobacco with cannabis just means more smoke damage to your lungs, and if not already a tobacco smoker it can make you become nicotine dependent. Smoking cannabis as a way of dealing with unpleasant feelings or emotions can sometimes intensify these feelings, or stop you sorting out the problem. If you experience anxiety or paranoia prior to using cannabis it may be made worse. Avoid using cannabis to deal with bad trips, as this can often intensify the experience. There are also harms that result from the criminal status of cannabis, which often outweigh any harms from cannabis use itself. Every year several people in New Zealand are killed over cannabis deals gone wrong, while countless others are beaten or robbed. The New Zealand Police arrest more than 10,000 Kiwis every year, leaving most with a criminal record that does not always go away (despite the Clean Slate legislation). These are significant harms that you should consider – and work to change by supporting our efforts – if you make cannabis your lifestyle choice.